Driving Under the Influence is defined as operating a motor vehicle while impaired by alcohol, other drugs or intoxicating compounds. Texas has long been known as a “zero tolerance” state meaning that minors (anyone under 21 years of age) are not permitted to consume any alcohol and drive a vehicle. The Department of Public Safety adheres to this public policy and will suspend the driver’s license of any minor who is found to be operating a vehicle after consuming any amount of alcohol. In other words, if an officer testifies that he could smell and odor of alcohol coming from a minor’s breath the Department of Public Safety can suspend the license automatically for 60 - 120 days. Generally, an officer will simply give a citation to a minor if he feels that they have only consumed a small amount of alcohol and release them to an adult. However, if the officer feels that the minor is possibly intoxicated, that individual can be arrested for DUI. 1) a reason to stop the car. 2) a reason to believe that the minor had consumed any amount of alcohol. Driving Under the Influence is a Class “C” misdemeanor punishable by a maximum fine of $500.00, but no time in jail, for a first time offender. Repeat offenders would be subject to higher fines and the possibility of jail time. Probation, alcohol assessments and classes, as well as, community service are also required by most prosecutors. Likewise, the Texas Department of Public Safety will issue a notice of suspension and try to suspend the minors drivers license in the majority of these cases. This license suspension is the same administrative license revocation (ALR) process that is used in adult cases. In summary, a person under 21 is not allowed to drink any alcohol and then drive a car. If an officer testifies that he/she smelled an alcoholic beverage on a minors breath during a traffic stop then the minor will be cited for DUI. Again, this is true even if the officer feels the minor is both below the .08 legal limit and has not lost the normal use of his/her mental facilities, but has consumed "some or any" alcohol. If a minor's case is mishandled it can have terrible long-term effects on the minors criminal record and lengthy drivers license suspensions. It is therefore very important that these cases are taken seriously. 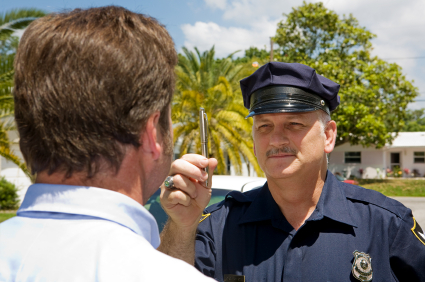 Examine all "search and seizure" issues - Was the stop of your car lawful? Was the detention lawful? Were you detained too long before arrest? Was there probable cause to arrest you? Fully advise you as to all issues listed above, and determine if a trial or negotiated settlement makes most sense in your case. If you or a loved one have had a DUI, call The Sheena Law Firm today to discuss your case.